A separate PUBG Mobile beta release was published on the Play Store earlier this month. At the time the beta was on version 0.7.0 (it still is, strangely enough), and as of today, the regular stable release of PUBG Mobile has been updated to 0.7.0 after that short testing period. A few new changes and additions come along with the 0.7.0 update, but instead of me droning on about it, you can read the Play Store changelog right below. As you can see, the most notable addition is the War arcade mode, which is basically the PUBG equivalent of team deathmatch. The newly added clan system is also a welcome change that allows you to create and add unique clan icons so that you can work towards earning exclusive rewards. And sure, the new SLR sniper rifle is also lovely to see, but it's hardly as big of news as a new mode or custom clan icons and rewards. So what are you waiting for? The update is ready. Boot up your copy of PUBG Mobile and check out all this new stuff. LOS ANGELES – July 24, 2018 – Tencent Games and PUBG Corp. supercharge the intensity of PlayerUnknown’s Battlegrounds Mobile (PUBG MOBILE) by introducing a major game update today that introduces an action-packed War Mode and all-new clan system. Check out the new Version 0.7.0 video trailer here and the War Mode trailer here. Download the latest PUBG MOBILE image assets here. 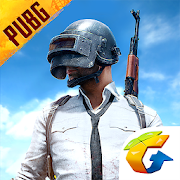 PUBG MOBILE is based on PlayerUnknown’s Battlegrounds, the original battle royale PC and Xbox One phenomenon that took the world of interactive entertainment by storm in 2017. Up to 100 players parachute onto a remote 8x8 km island to do battle in a winner-takes-all showdown. Players must locate and scavenge their own weapons, vehicles and supplies, and defeat every player in a visually and tactically rich battleground that forces players into a shrinking play zone.